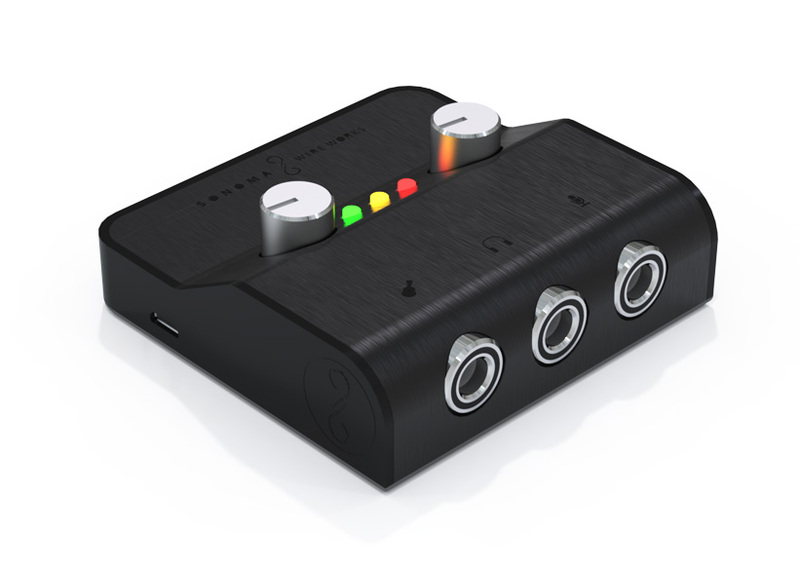 StudioJack Mini is a compact, multi-platform, device-powered, 24-bit audio interface with studio-quality sound. Includes a mono Hi-Z ¼ inch input for guitar or bass, stereo mic/line ¼ inch input for vocals or keyboards, two analog input level knobs with LED metering, a stereo ¼ inch output for headphones, plug-in power for electret microphones, and all the cables you need to plug into your compatible Mac, PC, iOS and Android system. The successor to GuitarJack Model 2, StudioJack Mini is a much improved version of the critically acclaimed GuitarJack line. Device powered, so no batteries or external power is required for any of the above features. To charge an iPhone, iPad, or iPod touch (or reduce power consumption for compatible Android devices) while you play, add a USB power port (not included). This accessory is device powered. No batteries required. iPhone, iPad and iPod touch charging requires a USB power port (not included). *Android users only: The first batch of StudioJack Minis include a 3 inch OTG adapter for Android that attaches to the included standard USB cable. This solution works great. Future StudioJack Minis will include a custom OTG (Android) cable. If you are an Android user who would prefer the custom cable, please email support@sonomawireworks.com for details about how we may be able to help.